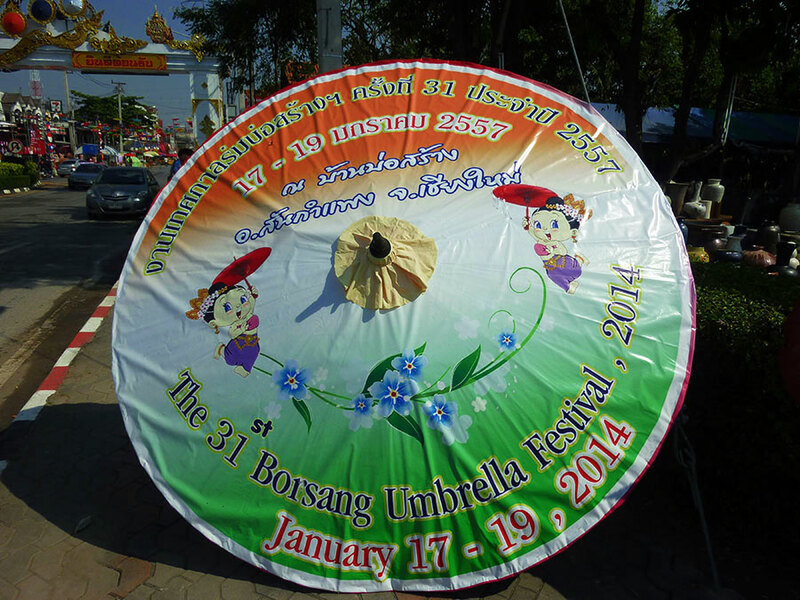 Every year the village of Bo Sang have their umbrella festival in January. This year it starts on the 17th and runs to the 19th. 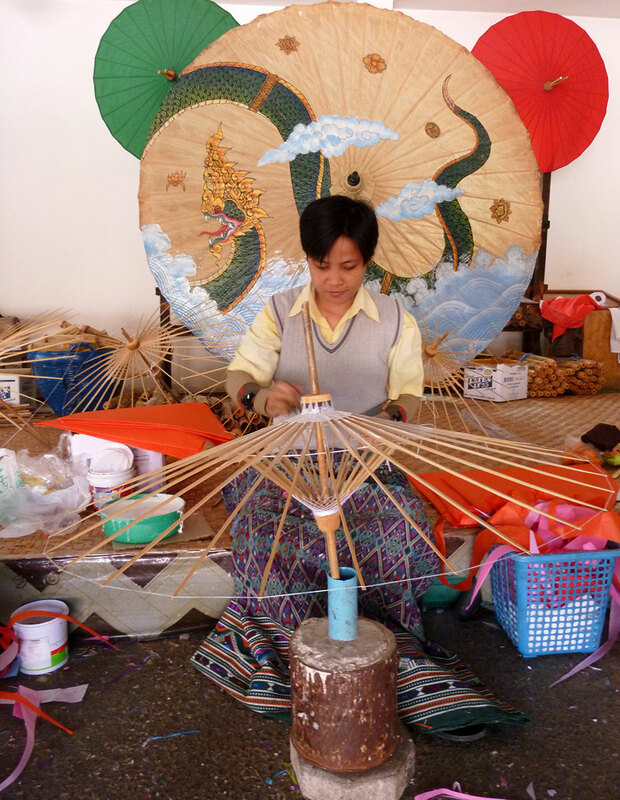 Located on Hwy 1006 about 6km east from Chiang Mai is Bo Sang Village. 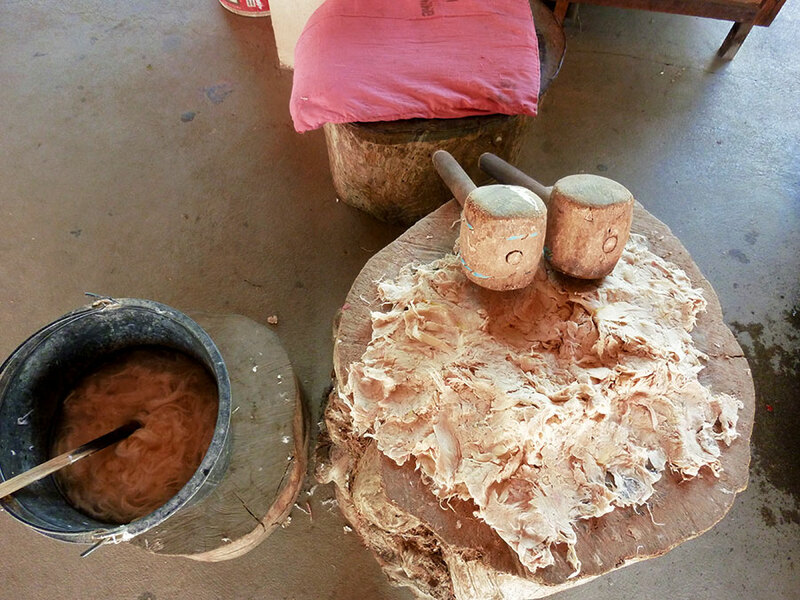 This can be a nice afternoon or all day excursion because there are many handicraft type factories along Hwy 1006. A good guide will be able to stopover at the jewelry, leather, paper or silk factories depending on your tastes and mood! But I’m not much of a shopper, so let me recommend the Bo Sang Umbrella factory right off of Hwy 1006 on 1014 just at the beginning stretch into the town. 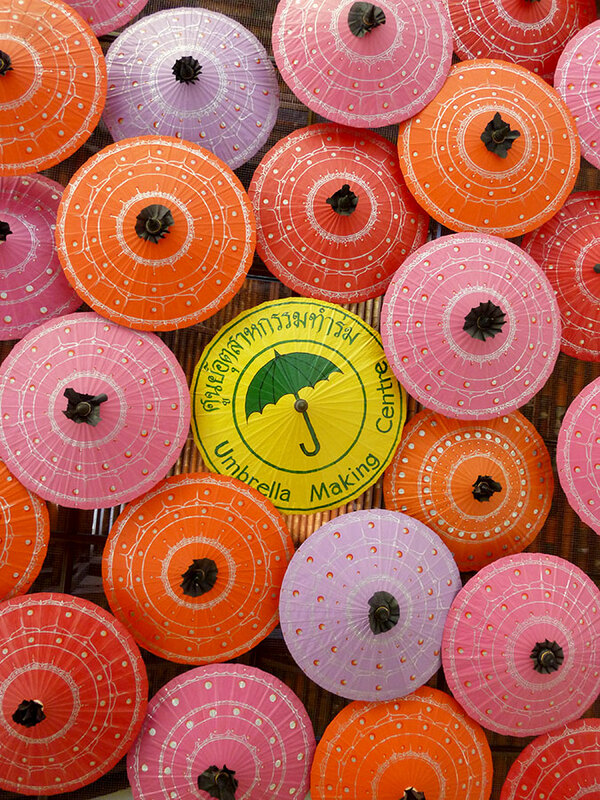 It’s a nice factory where you can see how the umbrellas are made. 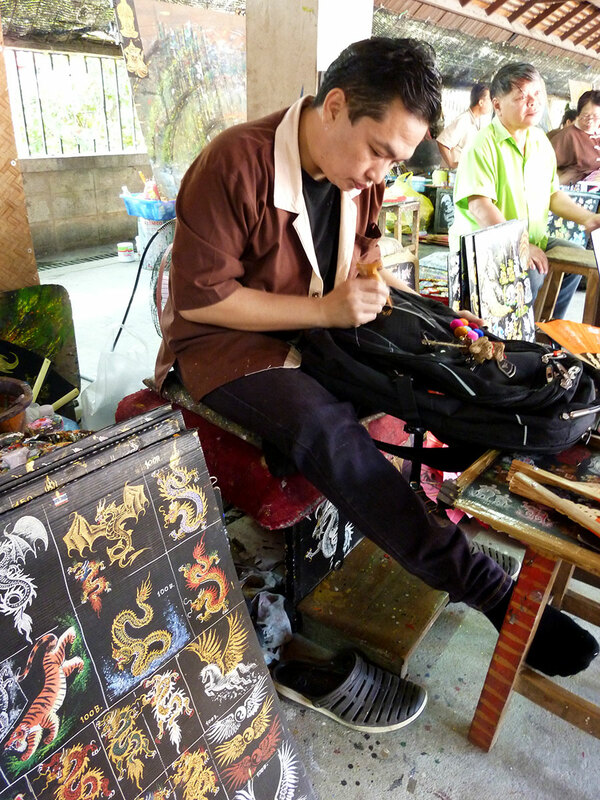 Starting at 100 baht you can have all sorts of designs painted on your bag, phone, i-pad case, etc. They were really good. 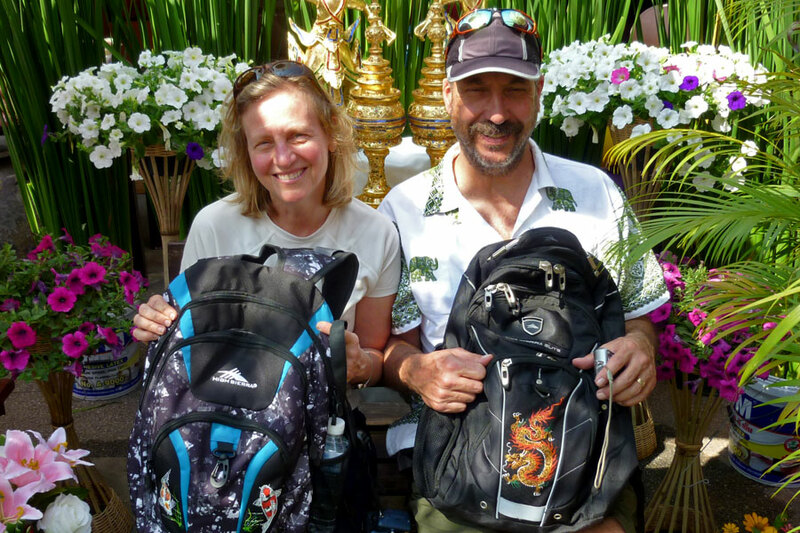 The happy result, the tricked out backpacks. 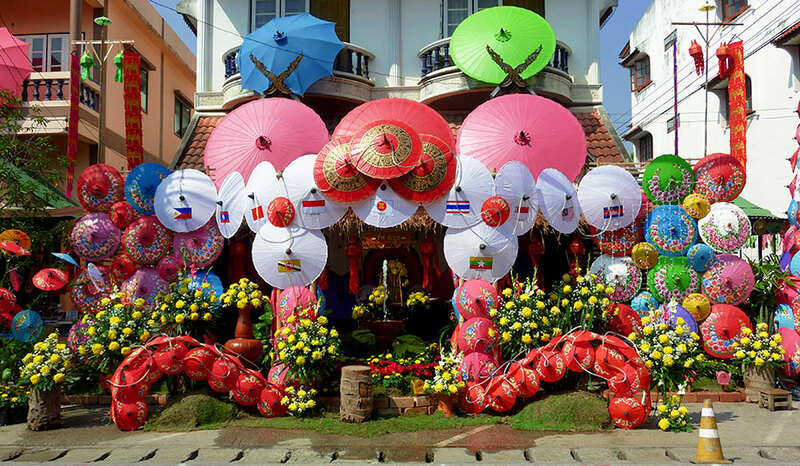 For this festival, the town of So Sang gets really decked out and decorated. 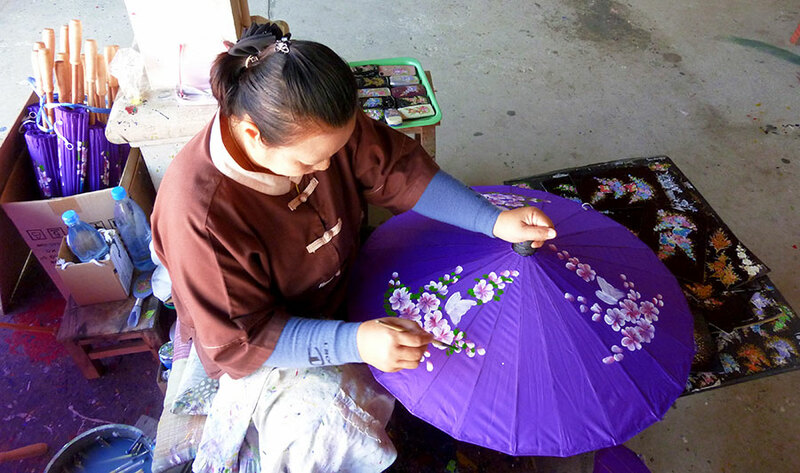 But even if you can’t make it over there this weekend, Bo Sang and the neighboring factories are worth the visit – especially for souvenirs, and handicrafts. Have fun! 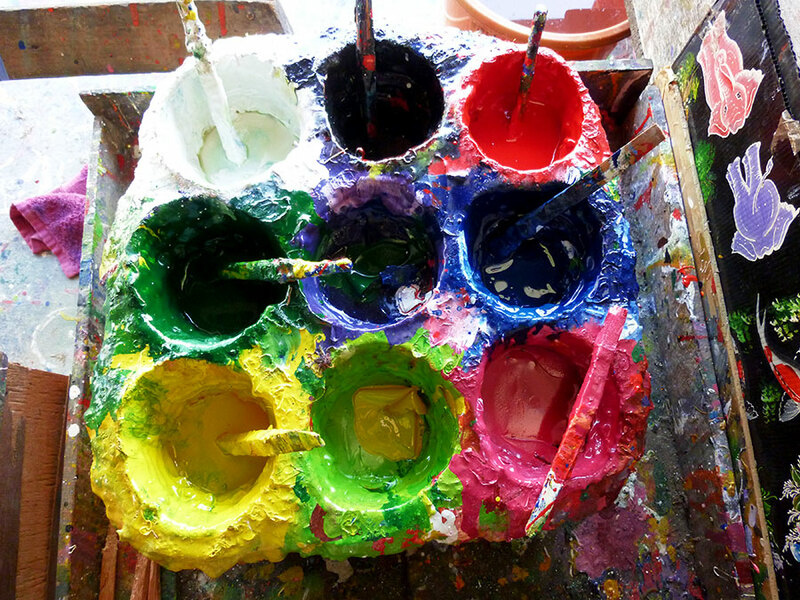 I enjoyed this blog post and that smashed paper for the umbrellas! Thank you. They were nice pictures to have gotten.